Book Release Party at Rocketship! 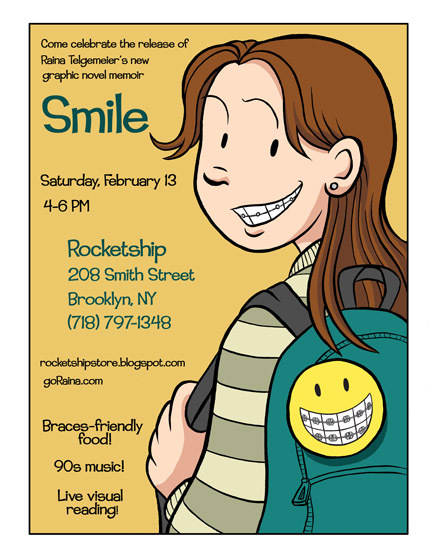 Just a reminder: THIS SATURDAY AFTERNOON, my book release party goes down in Brooklyn, NY! Visit Rocketship's website for more information. *Live visual reading, with an embarrassing Valentine’s theme! *Braces-friendly food! *90s tunes! All ages are most welcome. I've come up with some fun surprises for all the party guests, so please come by, get your book signed, see my presentation, and have a good time!